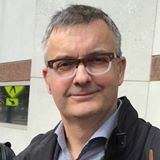 Trudo Lemmens is Professor and Scholl Chair in Health Law and Policy at the Faculty of Law of the University of Toronto, with cross appointments in the Dalla Lana School of Public Health and the Joint Centre for Bioethics. Professor Lemmens obtained a Licentiate in Law from the K.U.Leuven (Belgium) and both a Master of Laws (specialization bioethics) and a Doctor of Civil Law degree from McGill University. He has been a member of the School of Social Science of the Institute for Advanced Study in Princeton as well as a visiting professor or fellow at various other institutions, including the Universities of Oxford (St. Anne’s College and the HeLEX Center for Health, Law and Emerging Technologies), Torcuato di Tella (Argentina), K.U.Leuven, and Otago (New Zealand). His publications include the co-edited volumes Law and Ethics in Biomedical Research: Regulation, Conflict of Interest, and Liability and Regulating Creation: Law, Ethics and Policy of Assisted Human Reproduction, as well as more than 100 chapters and articles in national and international law, policy, science, medicine and bioethics journals. He has testified before Parliamentary Committees (including in the context of the recent Medical Assistance in Dying debate), has been a member of various national and international expert committees, and is currently a member of the Advisory Committee on Health Research of the Pan American Health Organization and of the Board of the Ontario Mental Health Foundation. His research focuses on the complex interaction between law, governance mechanisms, and ethical norms and values in the context of health care, biomedical research, health product development, and–more generally–knowledge production. Professor Lemmens teaches courses on Health Law and Bioethics, Pharmaceutical Governance, Mental Health Law, and Research Ethics.